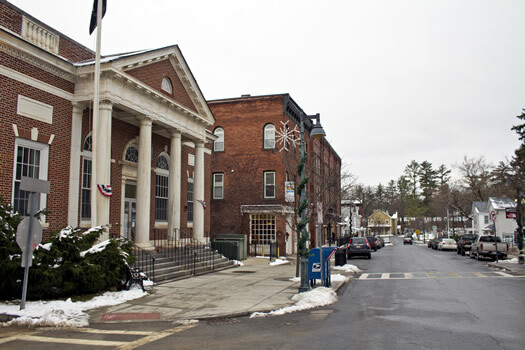 Williamstown is in the northwest corner of Massachusetts, and touches both the Vermont and New York state lines. It's about an hour drive east from Albany. Most directions will take you on Route 2, which is a slightly windy country road leading over some steep areas. There are some good views along the way. But it's steep in places, and I wouldn't want to drive that route in the middle of heavy ice or snow. If you'll be in Williamstown, I highly recommend visiting The Clark Art Institute, a wonderful art museum. 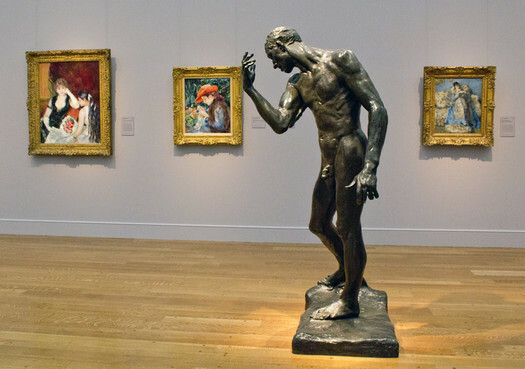 Its collection is known for its Impressionist paintings, but its galleries also include many sculptures, drawings, pastels, silver pieces, and other works. The Clark recently underwent a $145 million renovation, opening a new building and completely redesigning the existing museum building. The new Clark Center currently has an exhibit pairing works from Monet with sketches by Ellsworth Kelly. (Kelly had been inspired by Monet and traveled to the same island where Monet had painted the works.) It's on display through February 15. 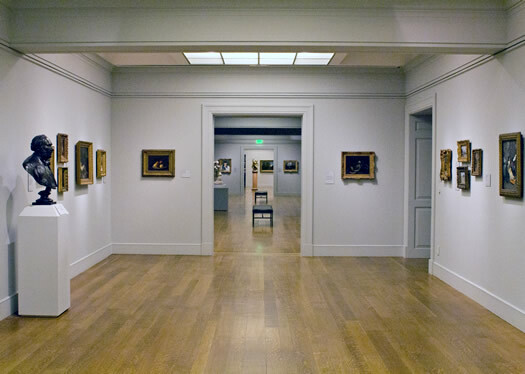 The existing museum building -- which was originally constructed in 1955, and displays works by artists such as Edgar Degas, Winslow Homer, and Renoir -- also got a makeover. And its galleries look great. 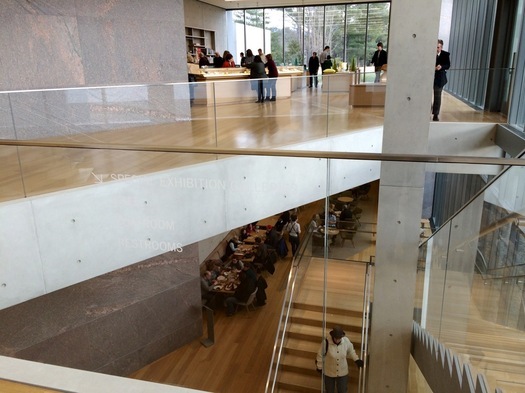 It's connected to the new Clark Center via an enclosed walkway. All together, the projects added 13,000 square feet of exhibition space. If you haven't been to The Clark since the renovation, I highly encourage you to stop by again. It has a completely different feel, and you're guaranteed to notice new pieces of art. And, if you're the hearty type, the land surrounding the museum is dotted with walking trails. The Clark is open Tuesday-Sunday, 10 am-5 pm. Admission is $20. Students and children are free. Work by Franz West at WCMA. 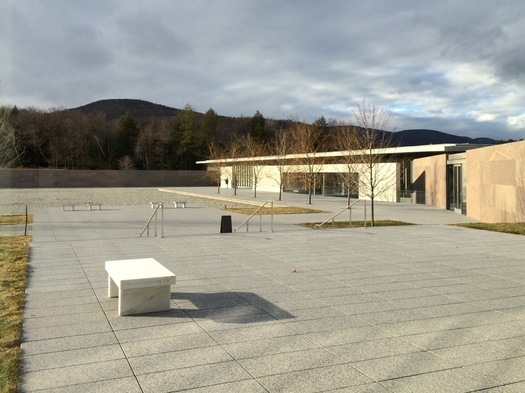 The Williams College Museum of Art is open from 10 am-5 pm, except for Wednesdays, when it is closed. Admission is free. Even though it's a small place, Williamstown has a bunch of restaurants to keep you well fed after a day of art. 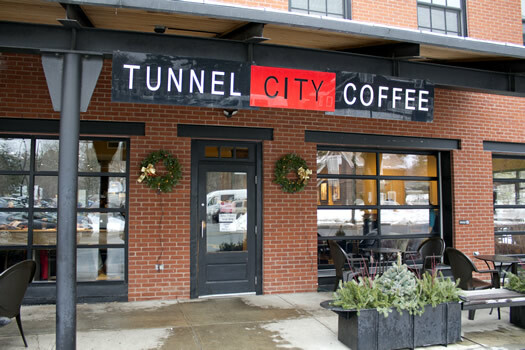 + Tunnel City Coffee - This is a classic coffee shop, with well-made drinks and groups of college students on laptops. I tried a mocha here that was the perfect balance of sweetness and coffee flavors. + Hops and Vines -- A good spot for a drink or meal, Hops and Vines' menu features a lot of greens and hearty, locally-sourced foods. Unfortunately it's closed Sundays and Mondays in the winter. + Coyote Flaco - If Mexican is your thing, try Coyote Flaco for margaritas and mole. + Mezze - This is a great stop for dinner that is a bit more upscale than other options in town. They make an effort to use ingredients sources from small, local providers. + Where'd You Get That - This is a toy store-meets-gift shop. You can find anything from gummy bears, to princess dolls, to cool housewares. + MASS MoCA by Design - Even though it's a small footprint, this gift shop from MASS MoCA in nearby North Adams gift shop has cool objects for art lovers and creative types. If shopping isn't your thing, you might want to take a quick stroll around Williamstown and Williams College. There are some wonderfully beautiful and historic buildings, like the Thompson Memorial Chapel and the 1753 House. The entire town has a very peaceful and quaint quality. Looking for even more to do? 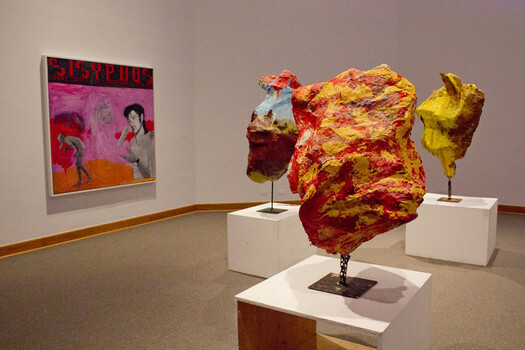 Well, if you're up for a big day, you could make your way to North Adams (about 6 miles from Williamstown) for a visit to MASS MoCA and its enormous gallery spaces. I believe that the Clark is offering free admission still for some time.